A single evergreen is easy to spot. But you need serious technology to see them all. It’s as true with stories as it is with conifers. Let me start with a bold statement, follow with an anecdote and then end with a gift. A publisher’s best older stories are more valuable to readers today than the day’s newest stories. Stick a great older story from the archives on the front page — and it’ll do better than anything else on the page. Okay, I don’t have that proof yet, but we have seen some pretty amazing things with “evergreen” stories, both on the sites of publishers we work with and on Hacker News, which we ran some deep data analysis on. Any decent-sized publisher has a treasure trove of great and still-relevant stories, videos and photos sitting in their archives, what’s usually referred to as evergreens. And yet publishers rarely dig into this mine and pull out the best. I suspect that’s partly because they don’t have the tools to easily find and re-surface these older stories. I also suspect publishers, even ones born in and of the digital age, still think of their jobs as churning out the new. It is after all the news business. But what’s new isn’t always what’s most valuable to readers. But what’s new isn’t always what’s most valuable to readers. It’s unlikely that all readers who should have read that great story from two months or two years ago actually did. Granted, the life cycle of stories vary widely, but it’s possible to identify great older stories and keep them in circulation. One of the ways we found proof of the value of older stories was by analyzing submissions on Hacker News, a popular, Reddit-like community for the hackers and entrepreneurs. Anecdotally, this makes sense as well. These weren’t *random* older stories – these were select older stories stumbled on or remembered by community members who decided to submit them, recognizing their value. This, in fact, is a massive crowd-sourced effort of an army on knowledgable experts acting as curators for a specific community. Before founding Contextly, I wrote and edited for Wired, largely for a section called Threat Level, that focuses on online crime, computer security and tech policy. Though we did a lot of great investigative reporting and news-breaking, Threat Level also had a lot of editorial freedom. So one day I typed off a snide one-off about silly MP3s called “digital drugs” or “i-dosing” (just mentioning it here guarantees this blog post will get pageviews from bored teens and concerned vice principals.)”. A Fox News affiliate in Oklahoma ran an unintentionally hilarious, alarmist segment about how kids were listening to MP3s to get high and that a school district was freaked out about it. Basically the selling point of “digital drugs” that there are sites on the net that sell odd-sounding and specially crafted MP3s so powerful they provoke the equivalent reaction in humans that marijuana, LSD, or heroin do. I embedded the video clip and added some snark, including a line about kids eventually getting turned onto experimental musicians and sound artists like John Cage. The piece took maybe a half-an-hour. Man, that story got a lot of traffic — and it kept giving. It stayed in the top ten posts on Threat Level for years. (And it might still, but I can’t see the traffic numbers any more.) I had a high-schooler who worked on his school paper write me and ask for my autograph because of that snide story. I was not proud. But what that continued traffic should have done is clued me in too in that there was a real interest in this subject, and that it deserved much more than a snide aggregation post. We never reposted it later on social media. It never got featured on the homepage or on our section. We had no technology or strategy to keep the story alive, other than readers finding it via search and links. It was like we had an ANTI-evergreen strategy. Take, for example, the Atlantic . Though not a tech publication per se, The Atlantic is responsible for publishing two of the most influential early stories about computing. Both of them could be considered from the early days of computing — though one is from 1982 and the other from 1945. The 1982 article was written by James Fallows, who is still writing for The Atlantic. In the essay “Living with a Computer“, he talks about his decision to buy a computer for word processing, how he ended up writing a tax program in BASIC and the prices and capabilities of hardware at the time. It starts “I’d sell my computer before I’d sell my children. But the kids better watch their step.” What a great lede. In 1982. The essay is worth re-reading for what’s anachronistic (advocating dual floppy disk drives), what’s predictive, and what’s just still amazingly contemporary. The 1945 piece is by Vannevar Bush: an essay entitled “As We May Think,” contemplating what machines could do to organize knowledge and make it easy to find and organize. And it’s not clear we’ve caught up to the time he envisioned. Then the Director of the Office of Scientific Research and Development, Bush envisioned if the sum total of the world’s knowledge was indexed and linked. Sound a lot like the net, right? But it was the mechanics that really interested him: “The process of tying two items together is the important thing.” And, that’s exactly what built the web and what eventually made Google so powerful — linked documents know as hypertext. Bush’s memex may have preceded the net; perhaps it even led to it. But now that story is on the net, and it’s got nearly 3000 shares on Facebook. Bush was writing in 1945, and we’re still trying to tie items together on the net. Unfortunately, most publishers have no idea of the value of older stories, though those stories linger in the memories of their longtime editorial staff. Publishing systems, known as Content Management Systems, have no idea of these older stories’ value. There’s no flag in any CMS database I know of to mark these stories as timeless. Analytics systems aren’t built to show off long-term value; their dashboards are geared to show what’s trending this week on Facebook. This is one of the problems we set out to solve with Contextly. Some publications are just treasure chests. Think of the New Yorker, with its astounding list of contributors, from Jane Kramer to John McPhee. (And that’s just the “J”s). The New Yorker‘s has done a pretty good job selling its archives in DVD form (if you still have a computer with a DVD drive and an OS old enough to run the DVDs), and it now has a paywall standing between readers and these oldies but goodies. It’s not the only site trying to monetize its archives directly. Access to Vogue’s full archives is so expensive for individuals or companies you have to write an email to get a price quote. The Economist sells single digital issues of its older issues through its phone and tablet apps. The New York Times also makes some money selling access to its very old stories; though I imagine this is less for casual readers than for institutions. NPR shares evergreens on Facebook in the wee hours, and the New Republic has a great series called 100 Years, 100 Stories, where the publication republished some of its historic old stories on its 100th Anniversary. But what of sites that don’t have the prestige or an ability to charge for its archives? We work with a huge range of publishers. We have mommy bloggers, homesteaders, home repair how-to sites, a high traffic blog devoted to watches, soccer sites catering to an Indian audience, feminist publications, survivalist publications, snarky political sites, tech sites focussed on Android hacks, a site geared towards sound technicians, etc. The publishing world in the digital age is amazingly broad and varied. And all of them have evergreen stories, and stories that become evergreen for some time period. For instance, we work MAKE: magazine, and recently their evergreens (it’s currently early March in a cold winter) have shown a mix of winter despair and spring hope. 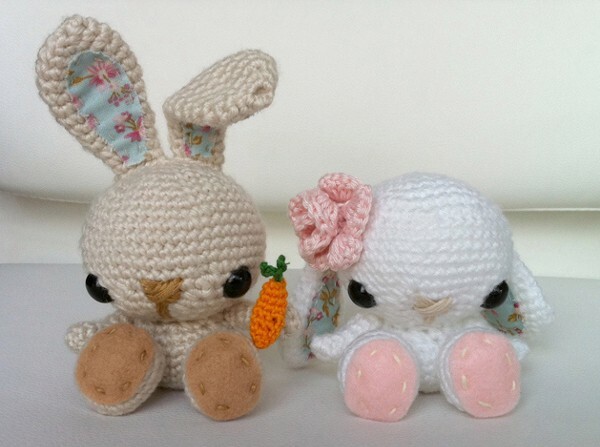 There’s a craft project from 2011 about crocheting cute Easter/spring bunnies that’s now in recommendation rotation. It’s pretty easy to see why this might start to bubble up in late February. We’ve also identified as “evergreen” a 2013 post about fixing broken zippers on coats — perhaps a testament to the brutal 2015 winter on the East Coast. It’s possible to do some of this identification manually using editorial muscle and tools like Google Analytics. Having your editorial team select some posts they think are evergreen not too difficult to do. However, this approach does not scale, and relies on scarce editorial resources. Story archives can be very large, spanning decades and containing tens and even hundreds of thousands of posts. Traffic to each of those posts changes over time according to readers’ shifting interests, as well as external influences such as events and seasons. Ideally, evergreen detection algorithms will be implemented to monitor the traffic to your archive, resurfacing content that is starting to become interesting to readers. A map of terrain across the globe, including evergreens. This is only possible with sophisticated tools. When sites have thousands or tens of thousands of posts, having algorithmic help is the only way to really have an evergreen strategy. But even more fun is showing those evergreen stories to editors and writers so they can do what humans are amazing at: looking at data, seeing patterns and making decisions on that data. So that’s coming up for us: presenting writers and editors with data about evergreens that they can identify patterns. Then they can do smart things like make a package of their best holiday content, get awesome and timely 3-year old feature stories back out on social on the weekend, or decide to make more how-tos about spreadsheets. I promised a gift and here it is. If I’d been smart at any point in the two years that that digital drugs post stayed popular, we would have taken a week, put a reporter on the story to figure out the scene, talk to some “listeners,” interviewed artists and neurologists. We could have tried out the MP3s. We could have done double-blind testing; pitted Brian Eno vs. “Digital Drug: Valium” and written the definitive set of stories on the phenomena. There’s actually a lot to unpack. Far beyond my cheap dismissal. Of course, music can transport people. It’s why we go to the opera, why we stop and listen and listen to the Larry the Bucket Man in San Francisco, and how we bring ourselves out of dark moods or deeper into them. So is this possible with so-called binaural beats? Could carefully crafted sounds actually induce drug-like physiological effects? After all, music can make us cry and dance and punch the air – or even rage to run to turn a song off? You could still do that deep dive. The closest I’ve seen is a piece from Vice about a guy trying them out on his own. In the age of instant Chartbeat analytics and a 24-minute news cycle, it’s easy to get myopic about the what’s hot, new and trending — and think that riding that wave is the only key to thriving as a publication. But living only in the most present is to forget one of the beauties of the internet: a story can live forever. And most stories still get some readers for far longer than they ever did in the age of daily newspapers and weekly magazines when stories were trapped in paper. In mid-80’s, John McPhee travelled the Mississippi for the New Yorker to the levees of New Orleans, filing an amazing story on the Army Corps of Engineers attempt to tame the river and protect New Orleans. In a post-Katrina world, that 1987 story won’t ever be outdated, and it now lives on the web where it can continue to mesmerize. We’ve seen the data on our clients’ sites – and we know it’s worth the effort to identify and promote evergreen stories, be they masterpieces or simply informative how-tos. It’s not just good business; it’s good journalism. These stories continue to serve, inform, and educate your audience. Neglect evergreen, and you are neglecting your audience. This entry was posted in Innovation and tagged evergreen content, evergreen detection, evergreen strategy by Ryan Singel. Bookmark the permalink.